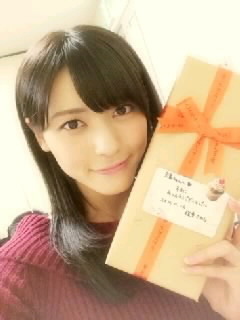 Maimi bids farewell to a legend in her November 27th update “Michishige-san Thank you“. Full translation below. Morning Musume。’14’s Michishige Sayumi-san has graduated from Hello! Project. Michishige-san was really beautiful her last time standing on stage. and she’s spent about half of her life as part of that group. I really think that she’s experienced a lot in that time. The light of the pink glowsticks was blurred, so I felt as if was being absorbed while in a daze. and how it made a big impact on everyone when she was selected. and we’ve seen a variety of sights together. and how the members love and look up to her. and seeing that made me cry. She was cool, strong, and sparkled to the very end. A thank you message was included with it. and I had no idea she would give me something as well. I’ve really respected her as a person too! I think she probably thought “I’m sure the future of Morning Musume。 is going to be fine ” and was able to graduate without worry. Thank you so very much for everything you’ve done. Yajima Maimi has officially become the leader of Hello! Project. 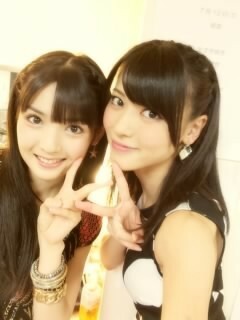 and a member from the same generation as Michishige-san, Tanaka-san! and I felt as if I was going to cry. Hello! Project has been protected by its leaders up to now. Hello! Project is loved and supported by a lot of people. I want to properly protect Hello! Project too! Posted on November 27, 2014, in Blog, Translations and tagged Yajima Maimi. Bookmark the permalink. Leave a comment.